The Elliott brothers, Arthur James and Lorne Burton, were born in 1895 and 1896 in the Manitoba town of Killarney. The family moved to Fielding, Saskatchewan before both brothers enrolled at the University of Saskatchewan. Burton was the first to enlist, on 2 May 1916, two months shy of his twentieth birthday, He had been at the University of Saskatchewan for two years. Arthur joined a little over a month later, on 19 June 1916. Both brothers were commissioned Lieutenants in the 196th Western University's Battalion. Burton was killed in action on 17 November 1917 while fighting with the 46th (South Saskatchewan) Infantry Battalion in Flanders. His brother A.J. returned to Canada where he re-enlisted in The Canadian Siberian Expeditionary Force (also referred to as the Canadian Expeditionary Force (Siberia) or simply C.S.E.F.). 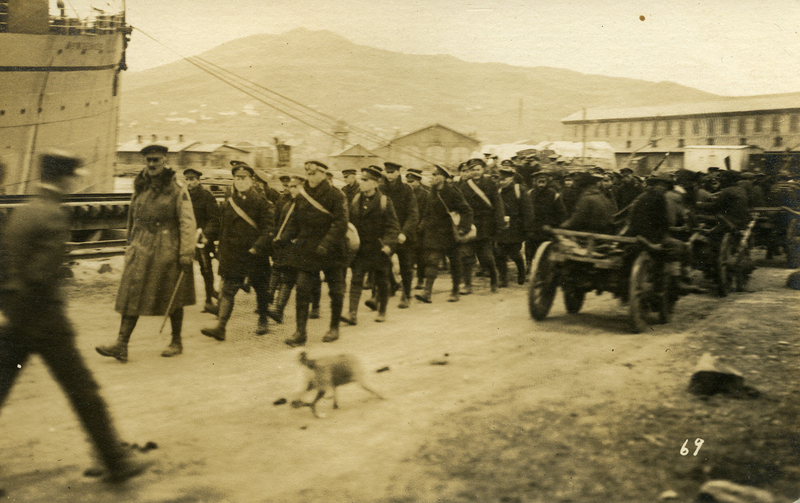 This Canadian military force was sent to Vladivostok, Russia during the Russian Revolution to bolster the Allied presence and aid the Provisional All-Russian Government. Composed of 4,192 soldiers it was created in August 1918 but had returned to Canada by the summer of 1919. In 1940, Arthur re-enlisted again during the Second World War, this time as a member of the Veteran’s Guard. He died in Sointula, BC, in 1976. This collection includes memorabilia collected by the two brothers during their First World War service. It was retained by the family and was donated to the University Archives and Special Collections in 2013 by Loreen Berniece Elliott Lambert, A.J. Elliott’s daughter.